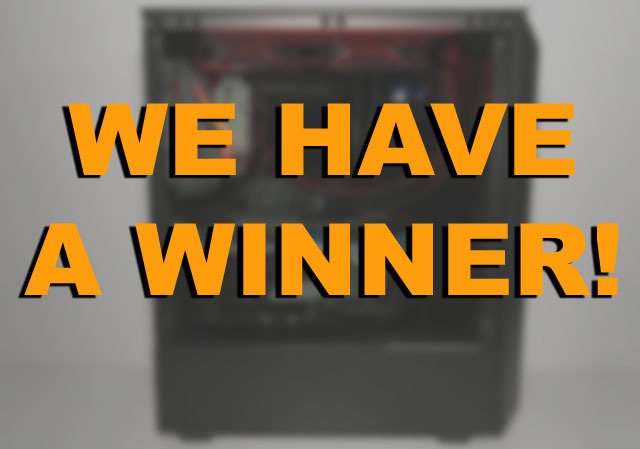 Check your inbox folks, we just sent out a notification e-mail to the winner of the Killer Gaming Rig giveaway! I want to thank all of you for making these giveaways such a success. We are in the process of gathering items for our next Killer Gaming Rig contest which, if all goes right, will be an AMD based system.